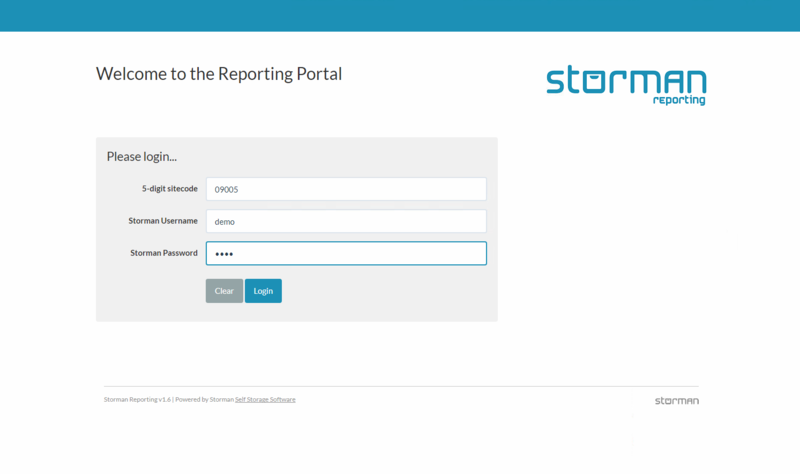 Requirements: Storman v10.0.77 or higher and access to Storman (online) Reporting. 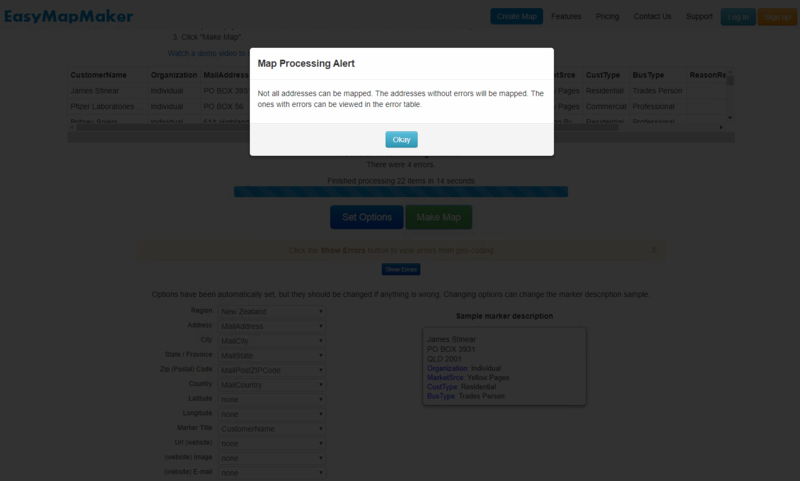 Here we are going to be extracting your customer data in a format to upload to an online map maker. 1. 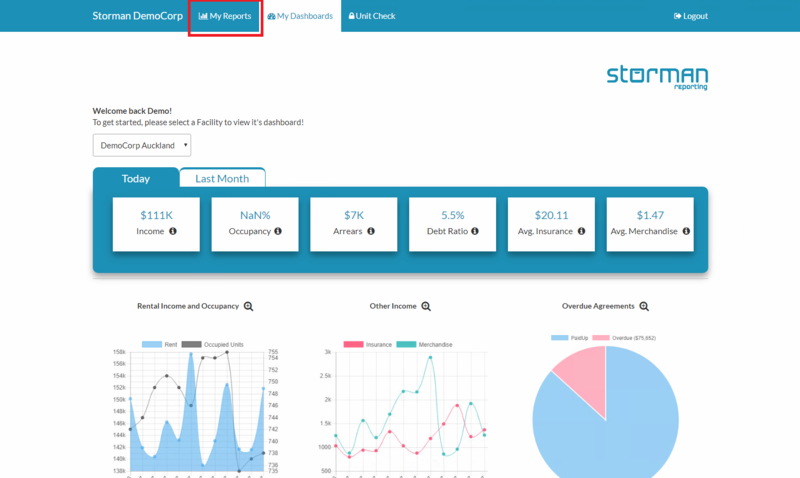 Navigate to Storman (online) Reporting, and login using your facility code, Storman username and Storman password. 2. After logging in, navigate to the My Reports page. 3. Under the Google Maps heading, select Customers List. 4. 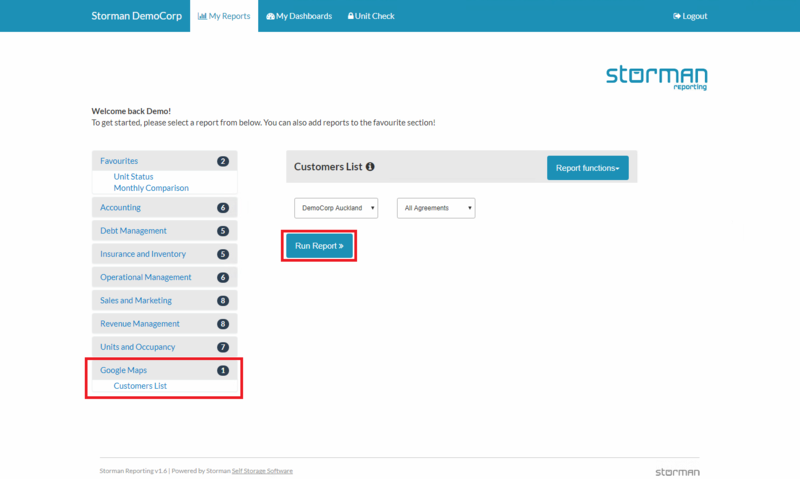 From the drop down menu, select either all, active or inactive (past) customers and click run. 5. 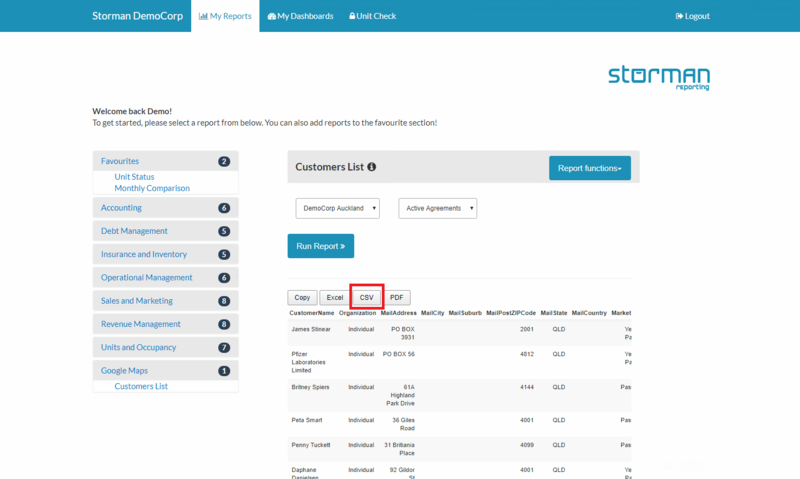 After running the report, your customer data will appear in the table. 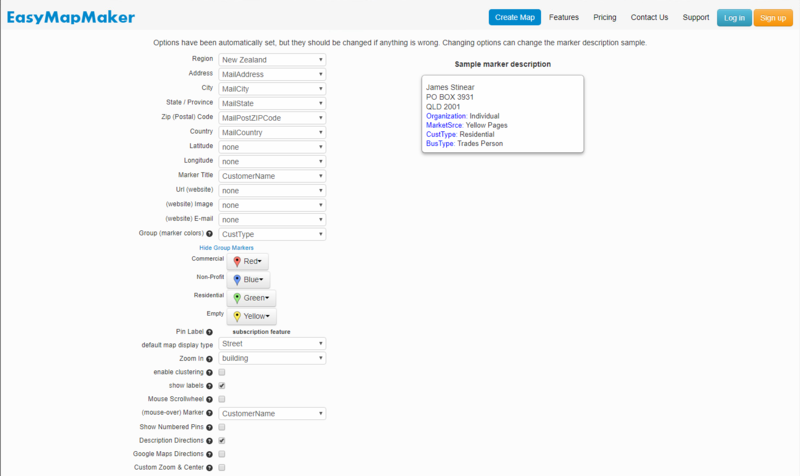 Click the CSV button to download this data into a csv file format. 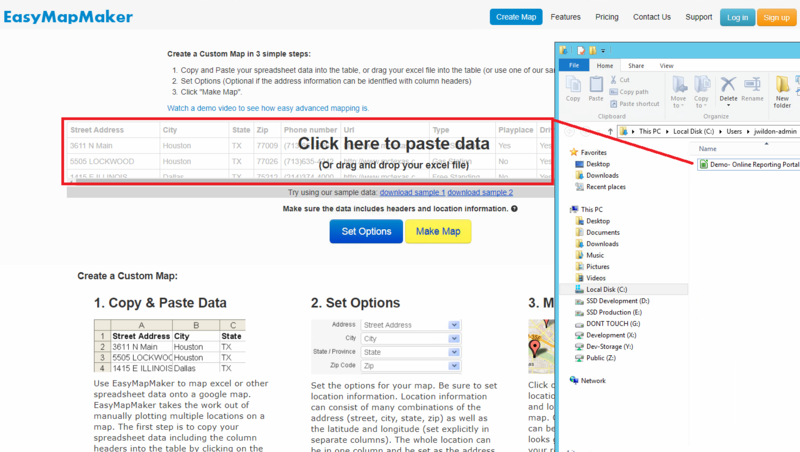 Now that we have the data in a CSV file format we are going to upload this into an online map maker. 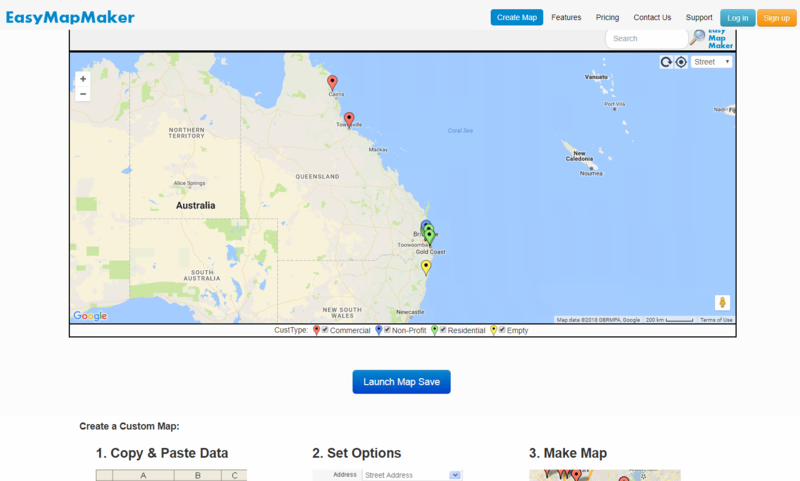 There are many free or paid for online map makers that can be used, in this example we are going to use EasyMapMaker. 2. Find the csv file downloaded from Storman Reporting, and drag this into the box at the top of the webpage. 3. This may take some time to load and populate in the table. The table will update with your customer data. 4. 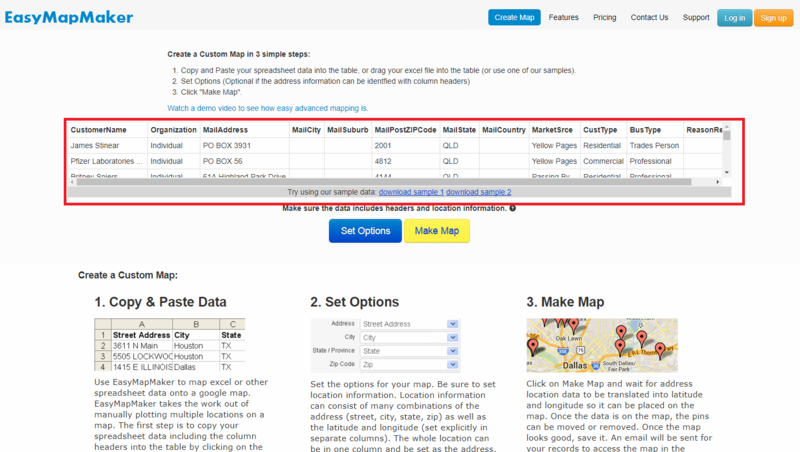 After the data has been loaded, there are options that can be cahnged to manipulate how the data and addresses are shown on the map. Adjust these, or go straight to "Make Map". 5. 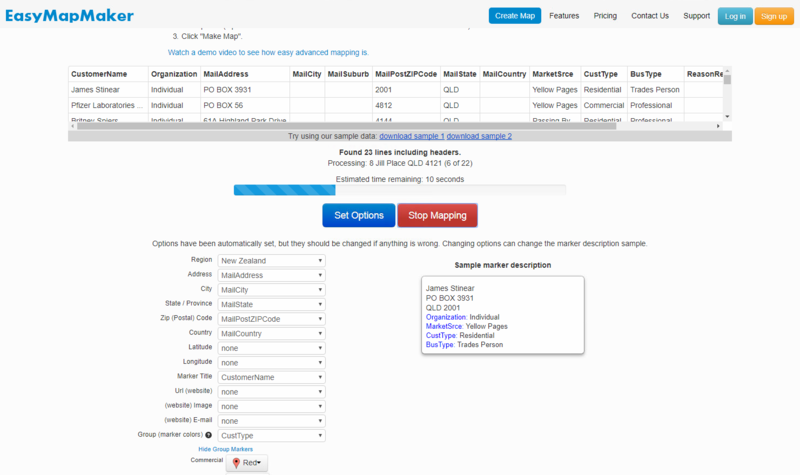 This will begin mapping the addresses against a Google map. 7. Your map is now ready to view!